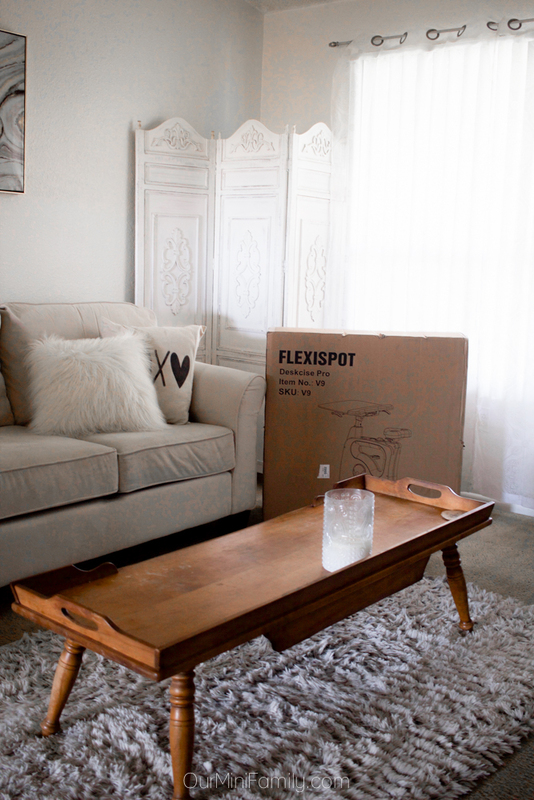 After 6 full years of working full-time from home, today, Adam and I are sharing how we try to avoid a sedentary, work-from-home lifestyle featuring our latest partnership with the Flexispot All-In-One Desk Exercise Bike! My first work-from-home job came when I was 22, and it was just a few months after Adam and I had gotten married. We were living in northern Massachusetts, and I found myself feeling isolated at home. Between being stuck to my chair and working on my big desktop computer and taking customer calls, and also the dreadful winter weather outside, working from home didn't have all of the glamour that I thought it would. Fast forward a few more months, and Adam and I had packed a couple of suitcases and moved out to Arizona. Suddenly, working from home was great, and in the winter months while the weather was perfection we'd enjoy morning walks before work, a quick walk on our lunch break, and sometimes a night time bike ride after the day was over; in the summer months, we enjoy not having to leave the house to go to work when it is 120 degrees outside (and took comfort working in our apartment in the cool air conditioning). Working from home has so many amazing benefits, but probably the only real negative about working from home is the fact that we're not out walking around or running errands on foot all day. Sitting at a desk for hours and hours upon end is not exactly healthy, so we've done what we can throughout the years to try to prevent us from having a sedentary, work-from-home lifestyle. 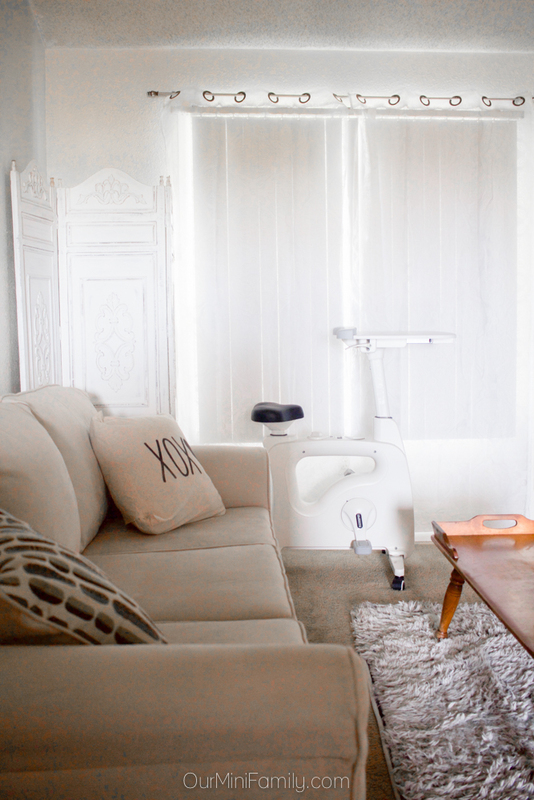 Today, we are sharing a few things we have done to get moving throughout our typical work day, including the newest addition to our condo that has been a total game-changer for us--the Flexispot All-In-One Desk Exercise Bike! Working from home is wonderful in so many ways, and especially since it allows you flexibility! But sometimes the flexibility aspect of working in a home office can feel overwhelming, so what we have done that has worked for us is creating a work schedule to stick to (that we can rotate every few weeks, if necessary) so that we have a structure that allows us time to 'clock in' and 'clock out,' so that we do not feel like we have to sit and work 24/7 while we are at home! About 85% of my work involves sitting at a computer (and 100% of Adam's work is at a computer, too). Whenever possible, I schedule a few hours a day to work on the computer and try to allow myself more freedom to either work on-the-go or get the logistical errands completed to fill in the rest of my day. I'd much rather only sit at the computer for a few hours a day rather than an entire day, so I try to schedule my workload accordingly and spread out the "computer-heavy" work through the entire week rather than all in one or two days. Almost every week, at least one of my blog campaigns requires me to go to the store to shop for supplies. Since we live in a rather populated part of the city, there are a number of grocery stores all within a 30 minutes walking distance from us. I like to grab my headphones, plug in a playlist or podcast, and hit the pavement for an hour to run a quick errand before I return to my home office. Even just one hour of leaving the house and going for a walk helps break up my day. Some days we have the flexibility in our work schedules that allow us to make time to go exercise at the gym or outside. 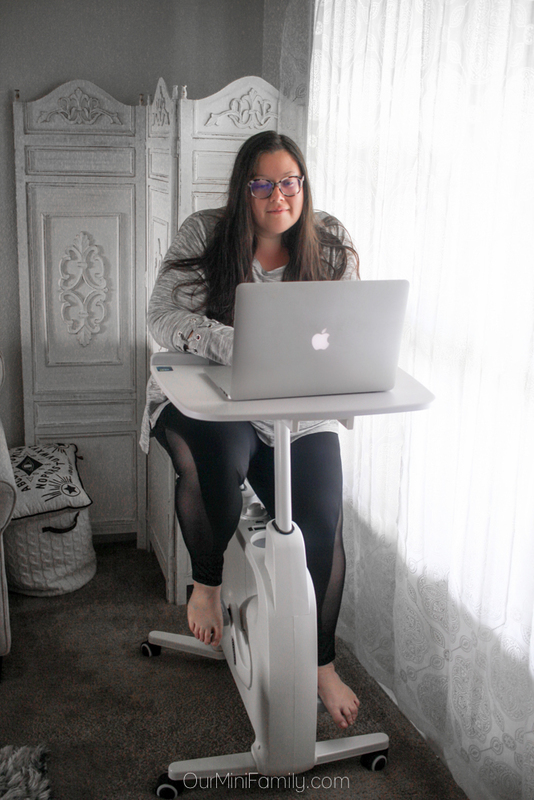 But on the days when I find myself glued to my laptop for most of the day, I can hop on our new Flexispot All-In-One Desk Exercise Bike and get a decent workout while I tone my lower body and burn a few hundred calories while I am typing away on my computer for a few hours! We had it delivered right to our door (which is so convenient for those of us who work from home), and took 10 minutes to get it unboxed and set up! The bike itself is very sturdy, but it's also very mobile once the parts have been put into place. Very limited assembly is required, but honestly, it was nothing compared to the dressers and desks we've put together from other companies in the past! Very easy to set up and the wheels on the bottom make it easy to move into the other room when we have friends over and want to store it away. 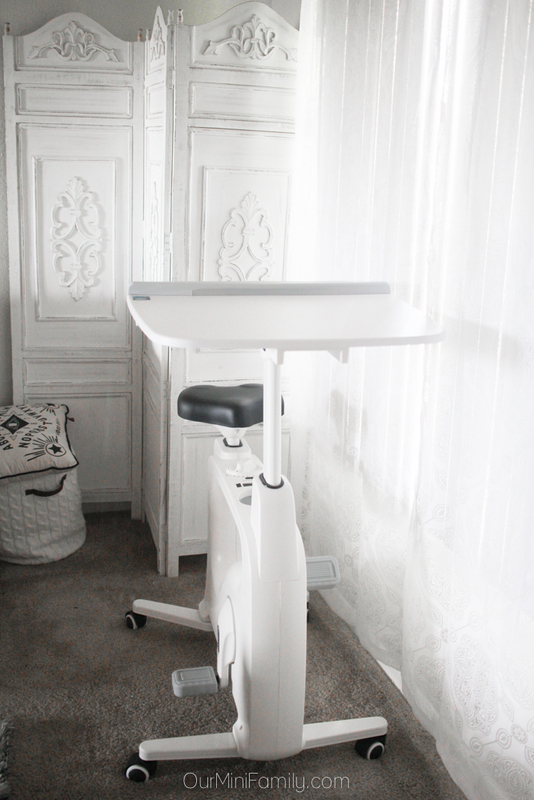 Learn more about the Flexispot All-In-One Desk Exercise Bike here! Oooo I love this bike! I work from home once a week but I want to start increasing that soon. I need to look into getting a bike like this! Oh my goodness this is the coolest thing ever! I've seen the feet bikes, but never a full one with a desk! How perfect! This is such a great topic! I love the different ways you are adding more movement into your day and inspires me to move more, too! P.S. I NEED an desk bike now! What a beautiful bike! Now I too want a Flexispot. I love that I'll be able to work from that desktop at the same time I'm getting a workout. What a fabulous idea!